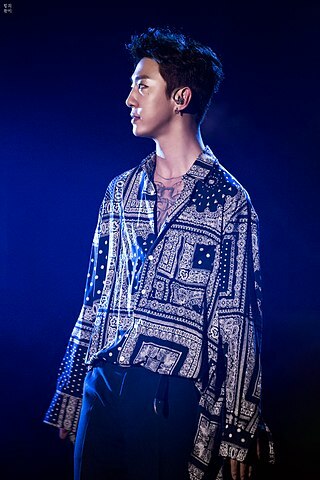 Bang Yong-guk (born March 31, 1990), better known mononymously as Yongguk, is a South Korean rapper, songwriter and record producer. He is best known as the leader of the South Korean boy group B.A.P under TS Entertainment. He made his musical debut in 2008 as a member of an underground hip-hop group called Soul Connection under the alias of "Jepp Blackman". In March 2011, he featured on Song Ji-eun's single "Going Crazy", which became a number one hit in South Korea. In July of that year he released his first solo digital single, "I Remember", featuring BEAST's Yoseob, and in November he promoted in a sub-unit called Bang&Zelo with fellow B.A.P member Zelo, releasing the single "Never Give Up". B.A.P released their first single in January 2012.